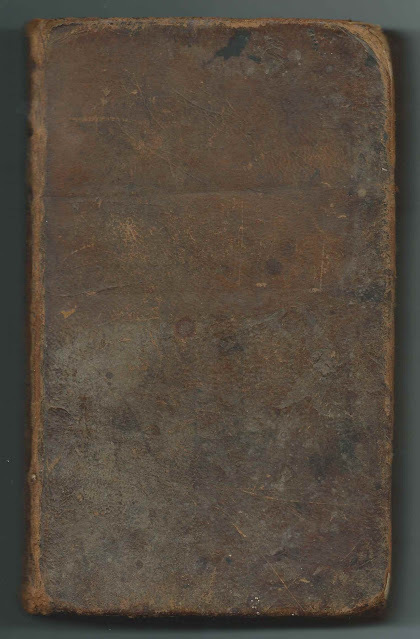 Shown above is the front cover of a geography textbook, presumably authored by Jedidiah Morse and perhaps used at Amenia Seminary, which was established in 1835, or at an earlier school at Amenia. 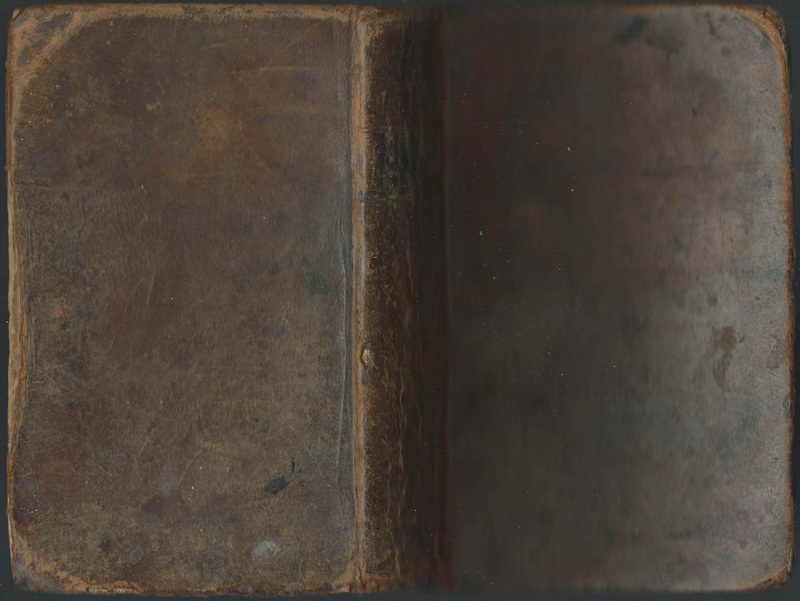 Amenia is written several times on the inside covers and end papers. The title page and a few of the pages at the beginning are missing, but someone wrote Morse's Geography on the first end paper, as you can see in the image below. The book, approximately 7" by 4-1/4" by 1", was apparently printed before 1820 as the text about Maine, which gained its statehood in 1820, describes it as "a part of the state of Massachusetts". 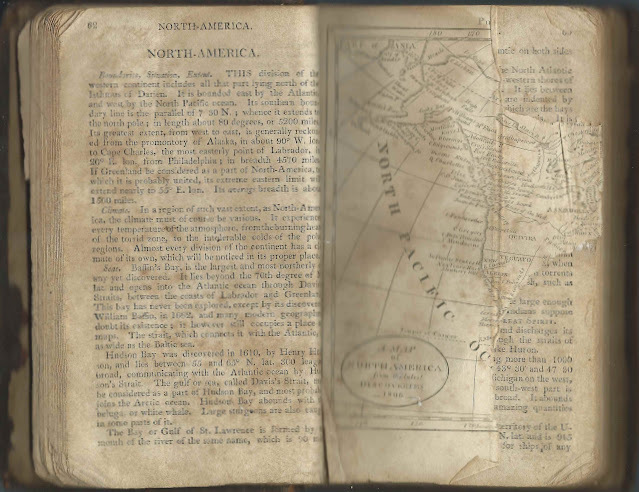 The book contains a map of the North Atlantic, which survives in tatters. There may have been more maps when published. 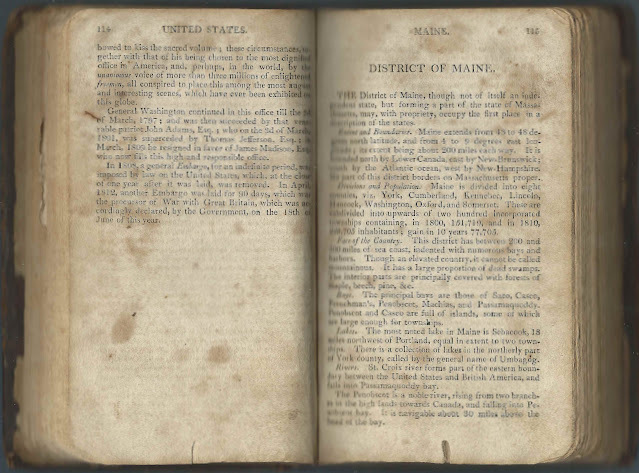 Horatio Nelson Powers was born April 30, 1826 at Amenia, New York, the son of Charles Wesley Powers and Jane (Benjamin) Powers, according to a family researcher who has seen a copy of the Powers family monograph. Horatio attended Amenia Seminary and graduated from Union College in 1850. He then attended the Theological Seminary in New York. He became a clergyman and served in several states throughout his career. He was president of Griswold College at Davenport, Iowa for several years. He finished his career at churches in Chicago, Bridgeport, Connecticut, and Pierpont, New York. While ministering at Lancaster, Pennsylvania, Rev. Powers married Clemence Emma Gouraud, daughter of photography and mnenomics authority Francis Fauvel Gouraud. I'm not sure if Caroline Powers was a sister or other relative of Horatio Nelson Powers. 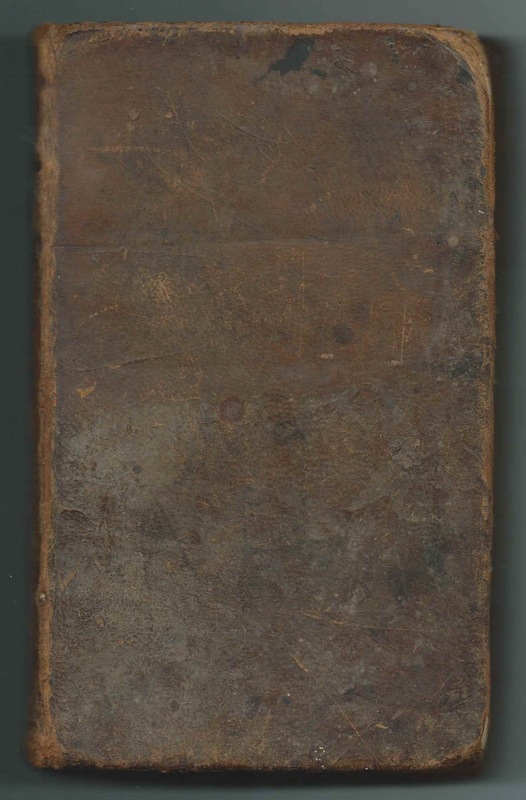 According to the researcher noted above, he had a paternal aunt Caroline, and it's possible that the book was hers, used at a school at Amenia in the years before the Seminary was founded. 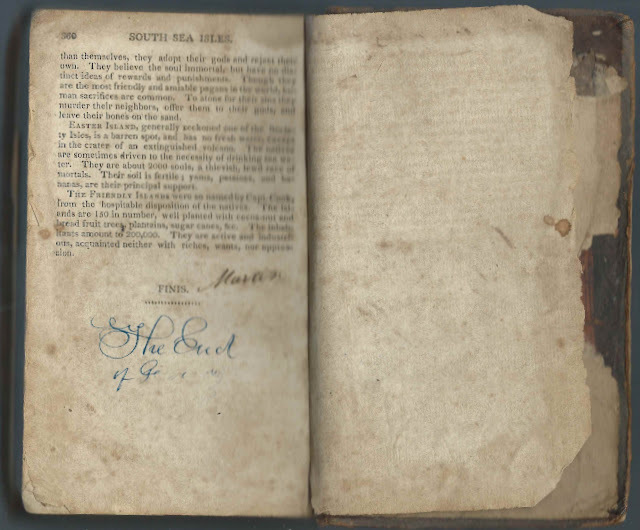 For all of the information about Horatio Nelson Powers online, there's precious little about his early years. I found several possibilities for a George Bassett, who may have lived at Amenia, New York, or attended school there. 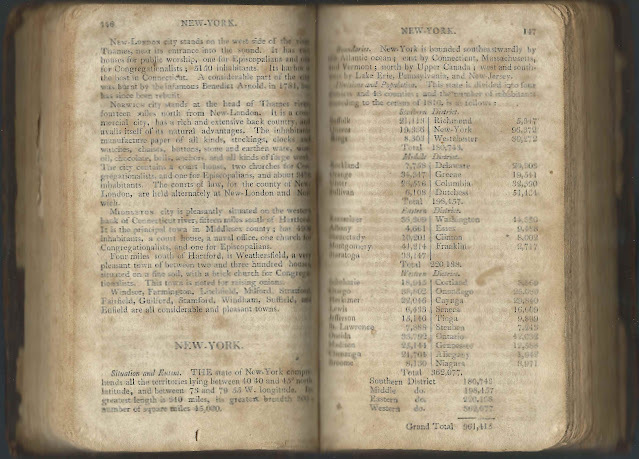 An 1865 Census of Amenia, New York, shows a George Basset, born about 1821, with wife Susan and children Frank E. Bassett; Louisa Bassett and Herman J. Bassett. A George Washington Bassett (1823-1902) lived in the area. 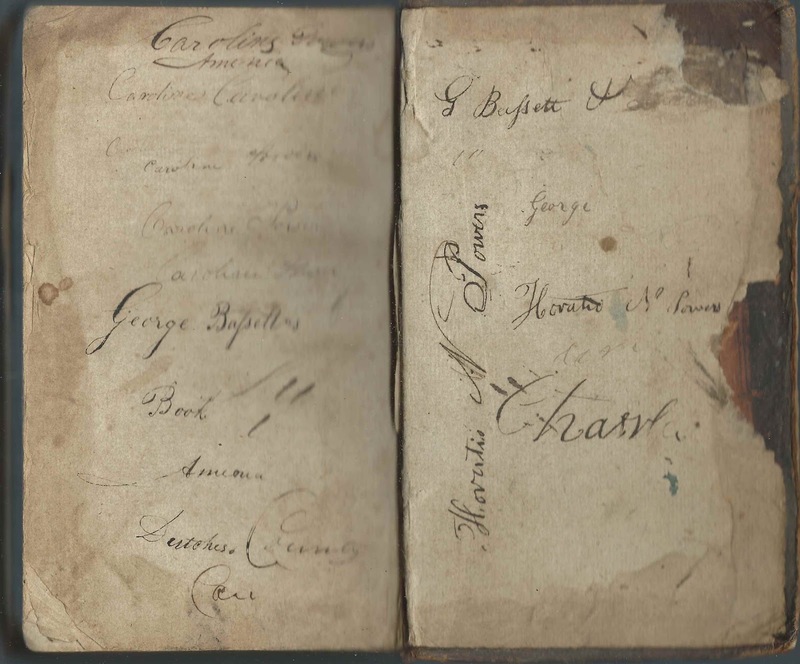 An interesting prospect was provided by the Powers family researcher who suggested Horatio Nelson Powers' cousin George Bassett (1808-1874), son of William Bassett and Cemantha (Powers) Bassett, a sister to Horatio's father Charles Wesley Powers. George married Harriet Emeline Humeston. They eventually moved to Batavia, Illinois. 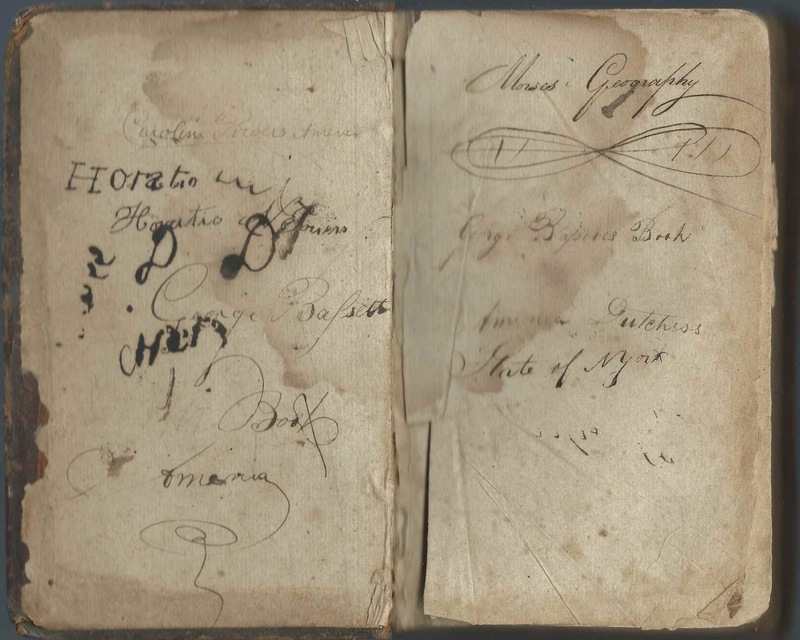 If you have information on Caroline Powers; Horatio Nelson Powers or George Bassett, please leave a comment or contact me directly.